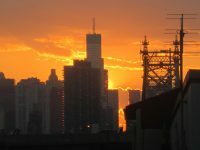 NYC’s Heat Waves: A Harbinger of Things to Come? As global temperatures rise and heat records are broken, many wonder if New York City’s heat waves this summer were a result of climate change, and if we will experience more of them in the future. 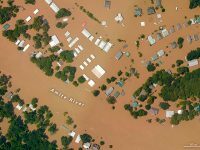 Columbia University’s Initiative on Extreme Weather and Climate hosted its biggest seminar to date. 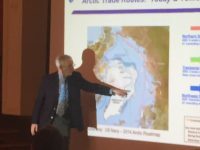 David Titley presented a talk entitled Climate Risk and National Security: People not Polar Bears. Titley, a retired U.S. rear admiral and now a professor of meteorology at Pennsylvania State University, brought humor to a serious topic and how it affects people and geopolitics. With Chapala’s destructive landfall in Yemen just a couple of days in the past, a second tropical cyclone, Megh, has just formed in the Arabian Sea. This one is not forecast to become anywhere near as intense as Chapala did—though we know intensity forecasts can be wrong, as they were at early stages for both Chapala and Patricia. 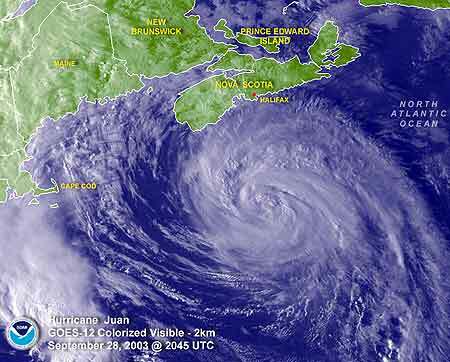 What will Hurricane Joaquin do? The science of predicting that is getting better, but still uncertain. The debate today is over whether there will be a U.S. landfall now in five or more days’ time or not; 30 years ago there would have been no point in even having that discussion. 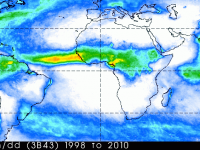 Most of Earth’s rainfall occurs in a tropical zonal band that circles the Earth. Understanding how this band will responds to climate change requires us to combine time scales from hours to millennia. 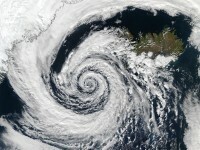 The storm tracks define the weather and climate in mid-latitudes. A recent workshop in Switzerland highlighted the important role that clouds play for the response of the storm tracks to climate change.